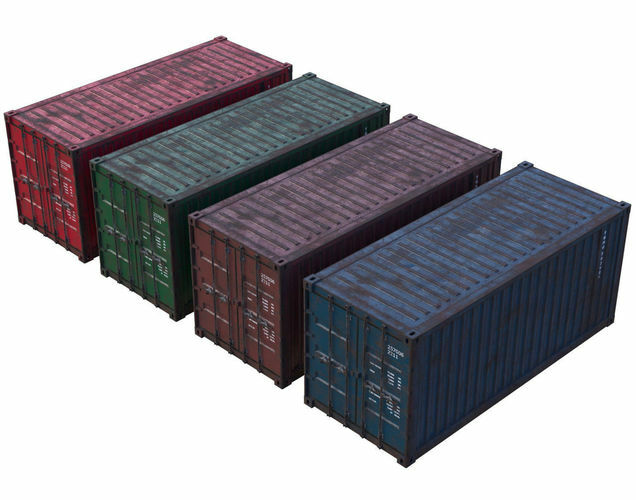 This is a model of a Cargo Container. Originally created with Blender 2.79. This model contains 22 separate objects. This model contains 5627 polygons. This model contains Blender Cycles materials. Cargo_Container_2_BaseColor_Blue.png 4096x4096. Cargo_Container_2_BaseColor_Green.png 4096x4096. Cargo_Container_2_BaseColor_Maroon.png 4096x4096. Cargo_Container_2_BaseColor_Red.png 4096x4096. Cargo_Container_2_Metallic.png 4096x4096. Cargo_Container_2_Normal.png 4096x4096 X+Y-Z+. Cargo_Container_2_Roughness.png 4096x4096.